Before going to journey, offer two rak’at Nafil and pray Allah for the acceptance of this holy journey. Now select the appointed duration and place that is also called as Miqat. If you are going from Pakistan then for you Miqat will be Yalamlam that is also known as Sadia, and it is 120km away from Makkah. Now wear Ihram but make it sure you have already cut off the nails and have removed the unwanted hair from thebody. Take a bath. However, ablution is also enough. Take two sheets of unstitched white cloth. One sheet is for theupper part of body covering shoulder and other is for tying around the navel. Worn second one in such a way that both ankles would remain free. Visiting Masjid ul Haraam Upon reaching MakkahMukarramah, leave all belongings at theplace and have some rest. Now leave for Masjid ul Haraam reciting Talbiyah. Enter in Masjid ul Haraam keeping right foot. Pray for Allah’s greatness when you have afirst glance at Ka’ba. Tawaf Now perform Tawaf and start it from Hajr e Awad. Here you are required to perform Saee as well. Before performingSaee, males have an obligation to take the upper Ihram sheet from right underarm to put it over the left shoulder. Stand in front of Hajr e Aswad and kiss it while saying Allah o Akbar. Now perform Tawaf. After performing Tawaf, come at Maqam e Ibrahim and perform two rak’atNafil. Multazim After tawaf and Nafil at Maqam e Ibrahim, come to Multazim and pray for Allah’s blessings. 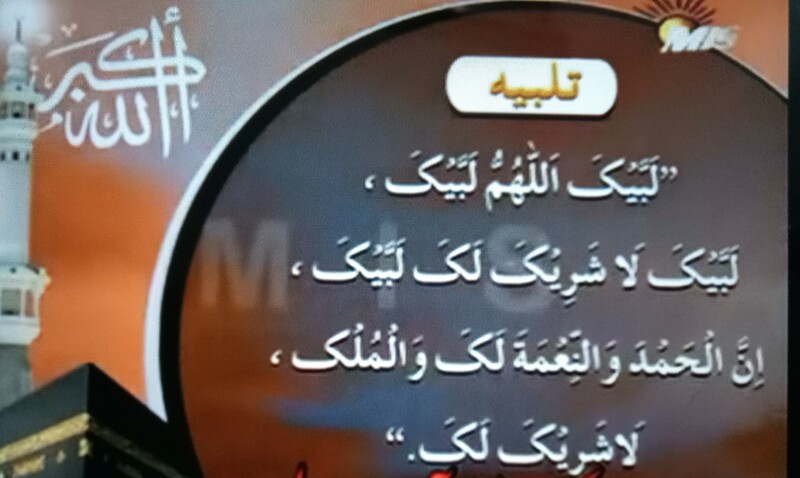 Sa’ee between Safa and Marwa There is no specific Dua to be recited during Sa’ee, one can recite any Dua: When you reach near the green, then the males walk with a little faster pace, after that, you will see similar green pillars. When you reach there, stop walking fast and now walk with the normalpace. When you reach Marwa, face towards Ka’ba and raise your hands for Dua. This is one round of Sa’ee which is completed now. In the same way, walk from Marwa to Safa. This will be the second round. Hence the last and the seventh round would finish at Marwa. Every time on reaching Safa and Marwa, face Khana-e-Ka’ba and supplicate as much as you can. Shaving or Cutting of Hair Now shave or cut the hair. For ladies cut about a inch. Your Umrah is completed, and now you can remove the Ihram. You can do all those ethical things that were prohibited while performing Umrah. You can now perform as many Umrah as you want from your parents and relatives.